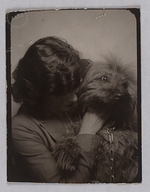 Photo booth portraits and photography of André Breton and Suzanne Muzard circa 1927. Oil on canvas from 1929, painted by Magritte during his stay in Paris. 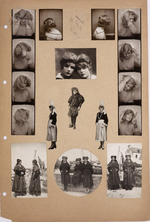 Photograph album page belonging to André Breton, showing several prints of Suzanne Muzard. 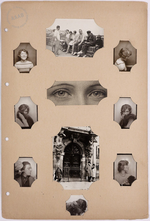 Photograph album page belonging to André Breton, showing ten prints with Suzanne Muzard. Photo booth portrait of Aragon taken circa 1929 to frame Magritte’s painting, I Do Not See the Woman Hidden in the Forest. 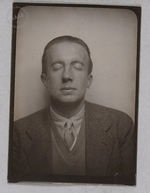 Photo booth portrait of Paul Éluard taken circa 1929 to frame Magritte’s painting, I Do Not See the Woman Hidden in the Forest. Photo booth portrait of Breton taken circa 1929 to frame Magritte’s painting, I Do Not See the Woman Hidden in the Forest. 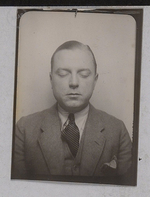 Photo booth portrait of Tanguy taken in 1929. 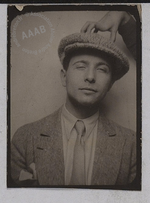 Photo booth portrait of Valentin taken circa 1929. Photo booth portrait of Queneau taken circa 1929 to frame Magritte’s painting, I Do Not See the Woman Hidden in the Forest. 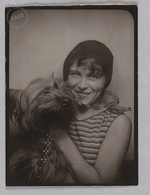 Photo booth portrait of Marie-Berthe Aurenche taken in 1929 to frame Magritte’s painting, I do not see the woman hidden in the forest. Photo booth portrait of Muzard taken circa 1929 to frame Magritte’s painting, I Do Not See the Woman Hidden in the Forest. Photo booth portrait of Max Ernst taken in 1929 to frame the picture of Magritte, I Do Not See the Woman Hidden in the Forest. 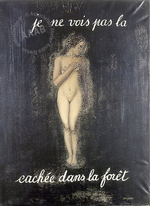 Photo booth portrait of Nougé taken circa 1929 to frame Magritte’s painting, I Do Not See the Woman Hidden in the Forest. Photo booth portrait of Breton taken circa 1929 to frame Magritte's painting, I do not see the woman hidden in the forest. 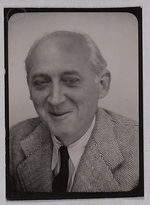 Photo booth portrait of Prévert taken circa 1929 to frame Magritte’s painting, I Do Not See the Woman Hidden in the Forest. Photo booth portrait of Mesens taken circa 1929 to frame Magritte's painting I Do Not See the Woman Hidden in the Forest.